One opinion that is shared worldwide by parents and cliché fans alike, is that ‘breakfast is the most important meal of the day’. Getting a morning food fix sets us up for the daily grind and ensures we are fuelled for what the day has to throw at us. Being in the localization industry however, can throw up some interesting morning menus and on our travels we encounter some truly fascinating breakfast options. Being that we practice what we preach at Jonckers, localizing breakfast only seems to be the right thing to do. Here’s a few examples from our global offices, what would you choose? Being a mostly health conscious bunch in our UK office, breakfast usually consists of a low fat cereal or some yoghurt and fresh fruit. But lets be honest, this isn’t tradition, this is a lifestyle choice and luckily for us I did mention the UK office as MOSTLY being health conscious. The breakfast of choice for many a Mancunian commuter (including our Global Marketing Manager) consists of a fresh ‘barm cake’ (bread bun) sandwich, usually consisting of sausage and / or bacon with the option of topping up the calories with a fried egg! No breakfast sandwich is complete without sauce… however there is an age old debate which has raged for generations as to which is best… Tomato (commonly known as Red Sauce) or its fruity counterpart (with a less fruity name) Brown Sauce! Either one you choose, this traditional English ‘brekkie’ sandwich is sure to fill you up until lunchtime, if not send you into an early morning food coma. Although traditional breakfasts vary from region to region in this vast country, some modern classics remain a staple for people on the go in China. 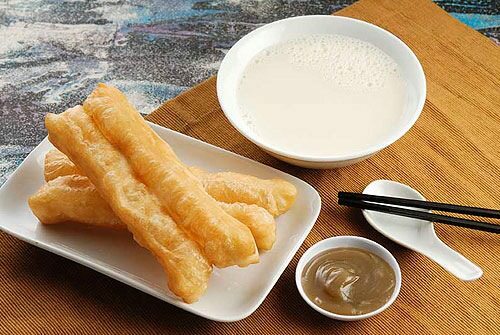 ‘You Tiao’ are fried dough sticks, usually served with a warm soy milk or rice congee accompaniment. Similar to traditional churros, these doughnut style treats are a quick fix snack for busy professionals and school children alike. Japan really take breakfast seriously! When we say breakfast is a source of sustenance for the day, they take it to the next level. Traditional breakfasts in Japan look more like a lunch or evening meal to the rest of the Western World, with options including Miso Soup, steamed rice, pickled vegetables and fish. This is a serious meal for a country that takes their work even more serious. The long hours and intense workloads of Japanese city folk don’t allow for long lunch breaks, so a hearty breakfast is much needed to fuel the tank of our Japanese counterparts. 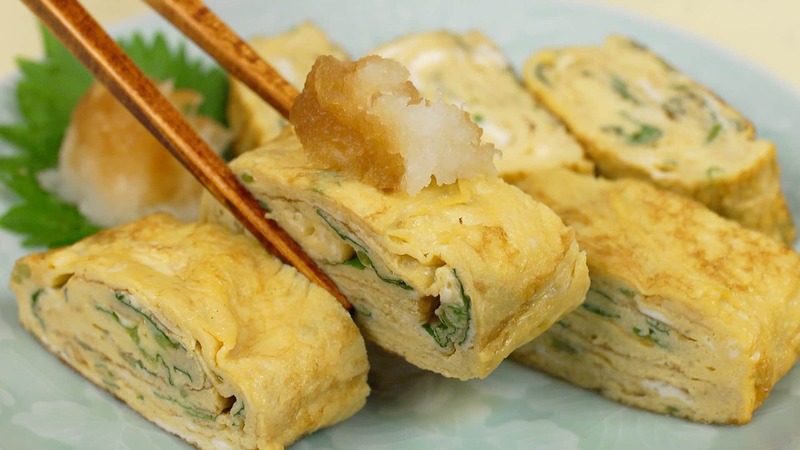 One traditional favourite is ‘Tamagoyaki’ which is essentially a Japanese Omelette. It is a layered egg roll prepared into bite size portions, which can be served with either a sugar sprinkle for those with a sweet tooth or a more conventional soy sauce. 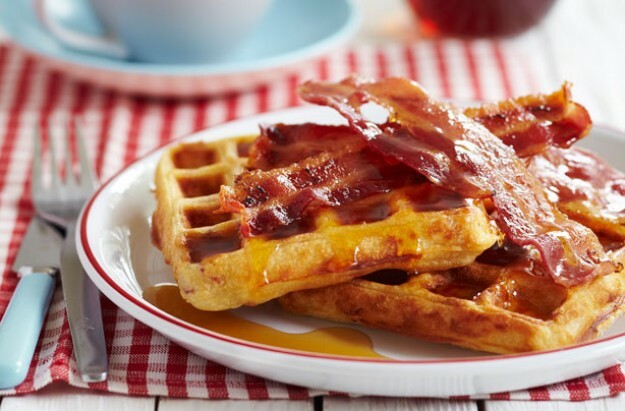 In a country that is so vastly different from state to state, it appears that a nationwide favourite is a mainstay in diners and cafes across the states, served up by ‘moms’ from the east to west coast, that delicacy is a sweet and savoury mash up of pancakes / waffles and bacon. The egg, potato and hash brown accompaniments to these two stateside favourites are merely backing dancers to the two lead stars. Whether you choose the doughy goodness of a thicker, more fluffy pancake (far removed from its Eurpoean counterpart) or the crispy outer of the batter based grid, each dimple an individual recess primed and ready to be filled with the nations condiment of choice, maple syrup. Top these sweet mountains with salty, crisp bacon and you have an All American favourite. In a country where food is fuel as a necessity to fight against the elements, its no wonder the Slovakian nationals have adopted a protein based breakfast to kick start their day. Thick cut bread, ham and traditional sheep milk cheese (sometimes served with chopped / pickled onion) for starters with hot tea or coffee. The Slovaks have adopted a more central European breakfast routine over the past 20 years, however they more than make up for any short fall in calorie intake by lunchtime with local dishes including ‘Halusky’ (Slovak gnocchi with melted sheep cheese and bacon) and Slovak Nut Roll (a sweet nut and pastry dessert which was traditionally served during the holidays – but goes great with a coffee!). We could continue our culinary journey further, but I’m sure if you’ve persevered with this post until this point, you’ll be pretty hungry by now. Now you have read our foodie facts, keep our suggestions in mind and if you ever visit any of these countries or come to see us at our offices, give them a go. Happy eating everyone.